Your friendly driver will pick you up in the comfortable air-conditioned coach before sharing experiences, fascinating facts and enchanting stories in the on-board full commentary throughout the morning. Today see Victoria Square (heart of Adelaide city), Gouger Street (restaurant cafe strip), King William Street's famous boulevard, The Terraces (4 terraces that separate the city from its greenbelts) and Adelaide's magnificent parks, gardens and greenbelts. 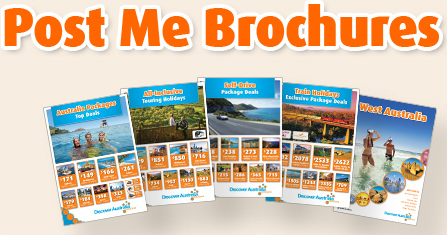 Enjoy free time this afternoon to explore the sights of Adelaide at your own leisure. Feel the youthful vibrancy of this modern forward-looking city as you arrive into Brisbane. You will be personally met at the train station in Brisbane by a DISCOVER AUSTRALIA representative and transferred to the airport for your flight home. 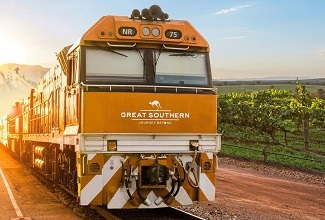 The Great Southern Train with Adelaide Discover is very popular. Many dates book out well in advance, please book soon.